By the way, you can click here to read the entire comprehensive plan for yourself. Exciting stuff! But pertinent to the issue is that churches were designated Public/Institutional and are now being denied that designation. For what reason? St. Andrew’s needs your help. In 2009 the Town of Mt. Pleasant ratified a “Comprehensive Plan” that has since served as the blueprint for growth and development for our community. As a part of that plan, a new category of zoning was created. This category, known as Public Institutional (PI 1), identifies all those buildings that serve the public good as eligible for inclusion. This includes government buildings, schools, hospitals and churches, which were specifically identified by the Town of Mt. 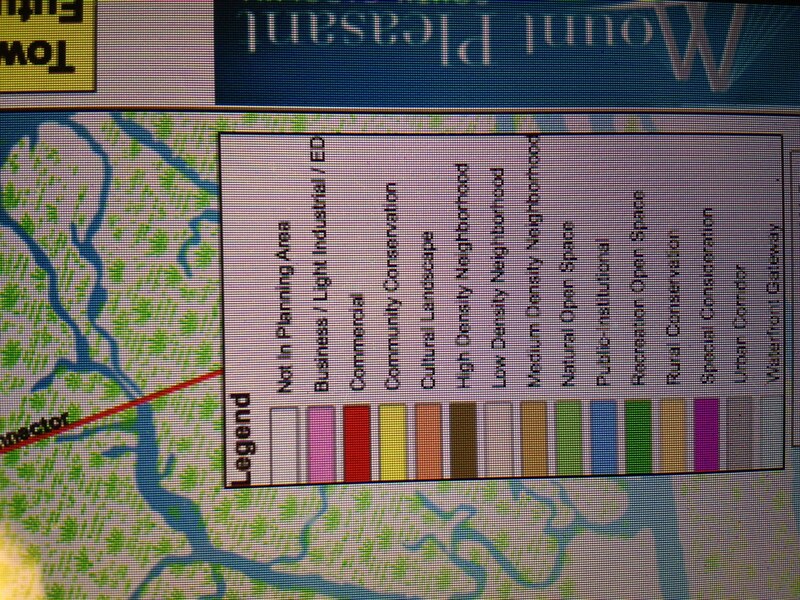 Pleasant as those entities eligible for rezoning. Not only were these entities eligible but the Town Planning Commission specifically recommended that such entities, including churches, pursue PI 1 status for the benefit of the wider community. In a recent meeting with the Town planners they suggested that St. Andrew’s apply to change our zoning from Residential to Public Institutional (PI 1). Their rationale for this suggestion is that a zoning designation of PI 1 allows St. Andrew’s, and every other public institution, to work directly with Town officials as we explore solutions to the problems created by our limited and antiquated building space (i.e., we need to rebuild the Day School, children’s and youth areas, etc). Under our current zoning classification we have to apply for a zoning variance for each and every alteration we may wish to make. Recognizing the protracted, expensive and difficult process imposed on public institutions to make changes to their facilities due to being zoned as residential, the Town created the new PI 1 Zoning status and, as stated above, recommended that we apply. St. Andrew’s was happy to comply with the Town’s request. As a part of that process public input was sought. At our hearing last week with the Town Planning Commission we received a favorable vote by a 6-3 margin. The next step was to appear before the Planning Committee of the Town Council, which we did yesterday. Though we enjoyed much local support from our kind neighbors, one family did attend to speak against our request. They cited a concern over growing traffic problems as well as the desire to have public input in future building projects that St. Andrew’s may undertake. 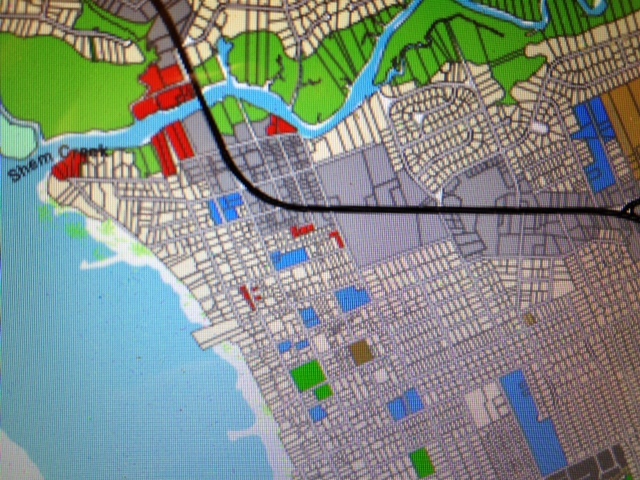 As to the first concern, the matter of traffic is not an issue in a rezoning request. As to the second concern, not only out of neighborly courtesy but also as a legal requirement there will always be public input in any future building projects that St. Andrew’s may undertake. First, we must submit a traffic impact assessment and secondly we will have to appear before the Old Village Historic District Commission. Both of those steps require public input. Considering the above, we were surprised and disappointed when the Town Council Planning Committee voted to deny our request 3 -1. After all, we did pursue the rezoning of our property at the Town’s suggestion. We fear that the precedent set by this decision will have a negative impact not just on St. Andrew’s, but on every church in Mount Pleasant. This concern is also shared by other local churches who sent representatives to speak on our behalf. You can pray. It seems as if some have adopted an unsympathetic posture towards church growth. But often it is growing churches who have the resources to enrich the local community with medical clinics, day schools and community outreach/assistance programs all of which St. Andrew’s is privileged to provide for the Town of Mount Pleasant. Pray that we might continue to do so. You can attend the meeting and speak on our behalf. Having Mt. Pleasant residents present and participating in Town Council meetings is always beneficial for our elected officials. You can call, or email, our Mayor and Town Council members and express your support. This, in fact, is an exceptionally helpful way you can participate in this process. In your communication, you should be courteous, you should note that you are a Mt. Pleasant resident and you should ask the Town Council to support our rezoning classification from Residential to Public Institutional. Lastly, you can forward this information to all of your friends who attend a church in Mt. Pleasant and ask for their verbal support as well. If the Town Council acts against their own recommendations, set forth in their own Comprehensive Plan, there will be negative ramifications for every church in Mt. Pleasant. There is no reason that churches, having been specifically identified by the Town’s 2009 Comprehensive Plan as eligible for Public Institutional zoning, should now be denied. Thank you for your prayerful consideration and your action on our behalf. It is appreciated.